For those of you are are visiting with us today, First let me say thank you for being with us today. For some of you, you received an invite from somebody, Thank you for encouraging them by coming today. You might not realize this but God has used you today to bless someone else. And as we start, if you are not a follower of Christ today, I want to give you permission today to just listen. You don’t have to believe everything we talk about today. It is ok to question. It is even safe to disagree. I am not trying to convince you of anything. I am today, just offering you an opportunity to explore what we think is the greatest news on the planet. The title of our talk today is Experience Grace! Thats what the postcard said and so I thought it was important to follow through on our promise. While I cannot MAKE you EXPERIENCE grace I can definitely tell you about it and invite you to experience it for yourself today. Since the beginning or the year we have been studying the life of Jesus Christ from the book of Mark. Today we will be looking at Mark 16. If you have a Bible with you today I encourage you to find Mark 16. All through the book of Mark, and really all through the whole Bible there is a reoccurring theme. What do you think that theme is? That theme is failure… That’s not what you thought I was going to say right? Most people would say the Bible is about how to live a good life. But I would challenge that idea. The Bible certainly gives us instruction on how to live right but more than that it really tells us that we cannot do it on our own. That is where GRACE comes in. It has been said that the one defining difference between Christianity and every other belief system; is the concept of Grace. If that is true than it is important to identify and define what GRACE is. I tell people mercy is not getting what we do deserve, Grace is getting something we don’t deserve. So how does Grace, failure and Easter intersect? Well that is what we are going to see today. You see another word for failure in the Bible is SIN. In fact one of the most basic definitions for sin in the Bible is to miss the mark or target. The target is perfection and we miss that all the time. We fail sometimes it is just a little failure, other times it is a huge failure. But in the grand scheme of the measurement of perfection we all fail. That is where GRACE comes in. 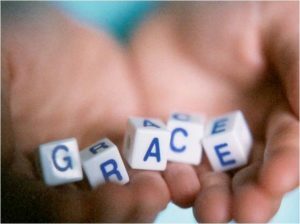 Mercy might say, you don’t have to be perfect, But GRACE says I will give you perfection. Every other belief system has a way of dealing with failure. Most of them the answer is try harder. But the Bible tells us we can’t. Only God can do it, and He is willing and wants to do that for everyone. So where does Easter fit in? 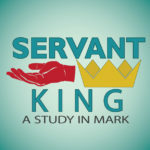 Lets look at Mark 16. If you have not heard the story up to now let me give you the cliff notes version. Jesus is God in flesh. He came to earth and lived a PERFECT life. I know that is hard to believe since I just said we all fail. But because He is God, He does. Then because the leaders of the Jews were threatened by His claiming to be God and their own failures being exposed, They have Him killed. He dies on a cross, and is buried. It is a Jewish religious holiday at the same time so they are not able to prepare His body the right way so some of the followers of Jesus go back to the place He has been buried to annoint the body with oil and perfume so that it will not stink. These are 3 women so they are thinking we might need some help. Uh, yea I might be a bit freaked out. How about you? Ok, first they see a guy with a white robe and then he tells them He is risen. Now earlier in the book of Mark we see Jesus raise people from the dead. He does this at least three times. One is a boy, one is girl, one is His friend Lazarus. It also says, when Jesus died on the cross many other people came back to life and came out of the graves. Talk about freaking someone out. But Jesus did these miracles. He was dead, How does someone who is dead bring themselves back to life. Jesus told them several times that this was going to happen so why are they going to anoint His body? Epic fail number 1. I love this verse. There are 2 reasons why. First there is no judgment that they didn’t believe Him. But the “man” tells them where he is going to be and reminds them that “He told you about this”. But more than that look at who they are supposed to tell. They are supposed to tell His disciples AND PETER. Peter is one of His disciples why the special mention. One we learned when we started the book of Mark is that this is the memoirs of Peter written by a guy named Mark. (who by the way had his own set of failures) But Peter is one of the biggest messes in the Gospels. He is always failing. In fact during the night Jesus was captured and about to be killed Peter said he would die before he would let them take Jesus, then it but a few hours later he denies that he knows Jesus not once, not twice but 3 times. 3 strikes your out right? Epic failure #2 But, the women are told to make sure Peter knows Jesus is alive. Now some Bible versions indicate that this is the end of the book of Mark, others go on. That’s a heck of a way to end. I think of it kind of like the end of a TV season. They leave it on a cliff hanger so everyone talks about “what’s going to happen next?” If that was the end of Mark that is fine, because the next verses are all corroborated by other eye witness accounts so no big deal. Evidence says that as early as 170 AD commentaries were referring to the verses. And that 99% of the Greek manuscripts have it so I say we keep reading. :). Jesus appears to 2 more disciples on the road to Emmaus. They come back and tell them. And they don’t believe them. Epic Fail #5 Thats a lot of failure in 13 verses. This is where GRACE steps in. Not only does Jesus not give up on these people. He comes to them. Then He gives them a mission. Go tell others the good news that GRACE is available. Grace is the truth that God never gives up on us. He takes our failure and replaces it with His perfection. The resurrection of Jesus is the truth that God wants to give you GRACE today. One more group of verses. These are written by a guy named Saul. He is better known as St. Paul. Talk about someone who failed a few times. (in fact he was a murderer). And He is writing to a church in Corinth that is know for all their failures. Look at what he says to them. If there is no resurrection of the dead, then not even Christ has been raised. 14 And if Christ has not been raised, our preaching is useless and so is your faith. 15 More than that, we are then found to be false witnesses about God, for we have testified about God that he raised Christ from the dead. But He did not raise Him if in fact the dead are not raised. 16 For if the dead are not raised, then Christ has not been raised either. 17 And if Christ has not been raised, your faith is futile; you are still in your sins. You are still stuck with your failures. But the resurrection, the event we celebrate today, makes it so we don’t have to be be stuck with our sins. Instead He gives us GRACE. He did that when He died on the Cross and rose from the grave. And now today He extends that to you and me. If you have never excepted His grace in your life. If you don’t have a relationship with Him I want to invite you to take the first step in that today. You see the Bible says that in order to have a relationship with Jesus you have to accept the FREE gift of GRACE by asking Him to come into your life and become the leader of your life. Relationship doesn’t happen overnight, it is a process. But you can make a decision today to pursue a relationship with Him. You do that by asking Him to exchange Your sin for His perfection in your life and making Him Lord. IF you would like to take that first step in a relationship with Him Would you allow me to guide you in a prayer that might help give words to your desire right now.